The Cliff paths, hugging the coastline, are famous as the best land based whale watching in the world. Do your own thing or have your tours and activities arranged for you by your own qualified tour guides @ Zoete Inval. 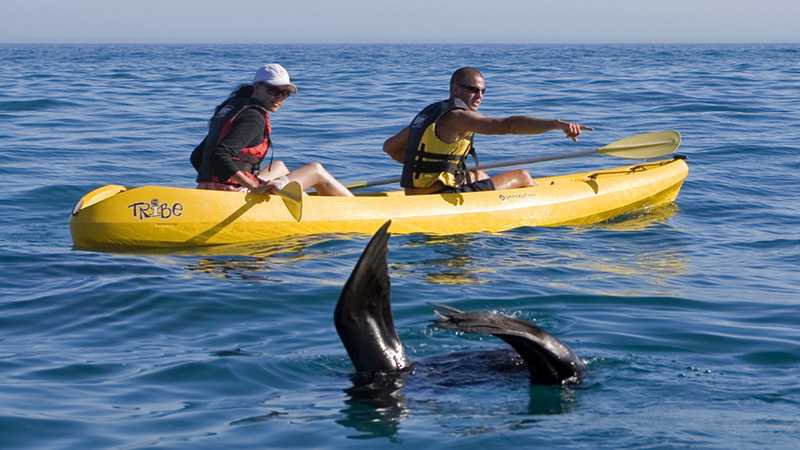 Hermanus has a wide range of Adrenalin sports and outdoor adventures for all ages. 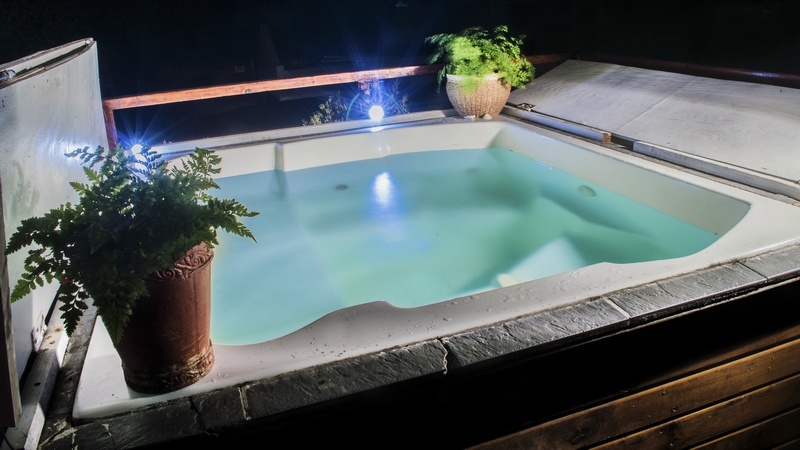 Zoete Inval comfortably accommodates groups, couples or singles. Let us know your needs for budget accommodation in Hermanus. 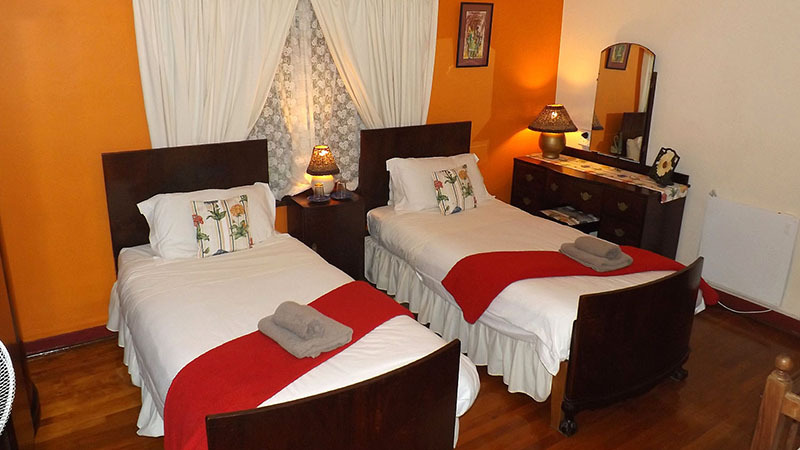 Eco friendly traveller's lodge with family-, standard- and dorm style rooms. Laid back lifestyle, tranquil garden & living spaces & a stroll from town center. "Zoete Inval" Traveller's Lodge, (Dutch for sweet drop in) offers guests a welcome laid-back hospitality experience in their RETRO-ECO themed double story establishment. Established in 1993, Zoete Inval has been home to holiday makers in Hermanus and the Overberg seeking a quality, value for money experience. Repurposed and upcycled furniture and creative pieces dot the peacful garden and relaxation areas throughout Zoete Inval, a constant reminder of the ongoing recycling and repurposing approach of owners Marilyn and Jan who are great supporters local communities and saving our natural environment. The house provides private rooms with B&B style & comfort. Seven rooms over two floors (3 doubles, 3 twins and family suite) with TV lounge, fire-side library, balconies and self-service tea/coffee counter. The loft, in hostel style simplicity, consists of two dormitories, a double room with small sitting area. A family suite is located on the ground floor next to the kitchen. Heritage furniture and quality linens coupled with ECO-creative touches provides a “home from home” comfort. Gardens envelop the buildings and the veggie/herb patch provides fresh greens year round. Healthy refueling starts with a “kefir” enriched breakfast with homemade muesli, preserves and fresh fruit. A protein power punch is available too!